The historic core of the village of Sonning was designated a Conservation Area by Berkshire County Council in 1971. A Sonning Conservation Area Study was undertaken in 1996, which identified opportunities for enhancement and improvement within the conservation Area. While an informative and useful character study, the document lacked a management plan to address its list of aspirations, thus making it less effective as a tool for planning control. The Sonning Design Statement (2004) more successfully became a constructive tool for dealing with planning applications in the civil parish as a whole. Since the publication of the design statement, extensive and rapid changes to planning legislation have been implemented nationally, making it both timely and appropriate to re-evaluate our Conservation Area. There will also be an exhibition in the Pearson Hall on Wednesday 26 October 2.00 pm – 8.00 pm and on Thursday 27 October 10.00 am to 4.00 pm. Again there will be an opportunity to make comments. 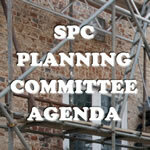 The Parish Council and the Sonning and Sonning Eye Society have been working together over a number of years to produce the Conservation Area Appraisal which, once adopted, will form an important evidence base together with other adopted planning documents. National planning guidance identifies the importance of evidence based documents as informing planning policies and decisions. It is a very valuable document and will help to inform the assessment of future planning proposals being considered by WBC. The Parish Council therefore urge you to view the draft document online or visit the exhibition in Pearson Hall and to complete the questionnaire form. WBC will take all comments into account prior to formal adoption. In the Summer of 2012, initiated and jointly managed by the Parish Council and The Sonning and Sonning Eye Society, teams of ‘surveyors’ examined the Conservation Area which was divided into 5 separate zones. The surveyor’s findings have been pulled into the core of a draft document which was made available for public consultation/exhibition in February 2013. It is intended that the resulting finalised document will be lodged with and adopted by Wokingham Borough Council as supplementary planning guidance. 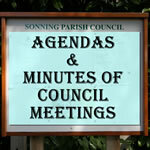 This document will provide an additional layer of guidance for anyone contemplating carrying out changes or development in Sonning’s Conservation Area and environs. Thanks must be given to the passionate and dedicated group of residents who undertook detailed surveys, a comprehensive photographic record taken by Jeremy Gilmore and David Bates, plus much detailed research by Diana Coulter with colleagues. The completed document duly arrived at Wokingham and the next stage is a public consultation on the document which will be organised by WBC for 6 weeks from 2nd October 2016. For more information about the Sonning Conservation Area Assessment, please contact Ian Runnals — Chairman of Planning Committee or Mike Hart — Sonning and Sonning Eye society.